Meeting people is easy. Finding romance with someone who is truly your type – not so much. Which is what LGBTQutie is all about. It’s an all-inclusive dating website for the entire LGBTQ community, with an emphasis on romantic relationships as opposed mere casual flings. Since it’s also a social networking platform, hey, get out there and network! Make new friend and business connections. Just because you’re in a relationship, doesn’t mean that you should be left out, either, Qutie! 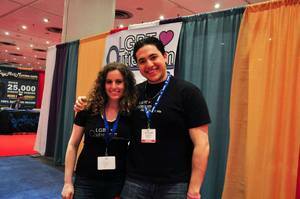 Co-founders Jordan Weiss and Rachel Kimelman talk about their new community. LGBTQutie.com, a division of LGBT Media Inc., is the progressive relationship oriented online dating and social networking platform for the entire LGBTQ community. 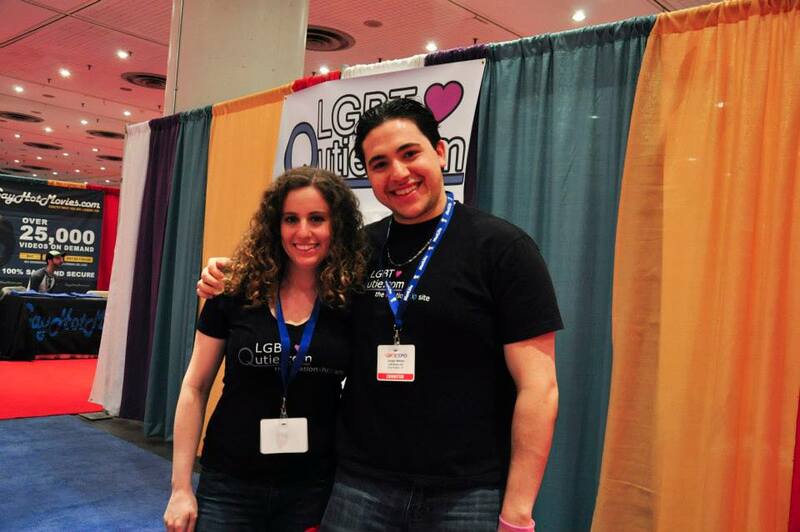 LGBTQutie’s mission is to fill the needs of the LGBTQ community, which has previously been overlooked. Our site accommodates the full spectrum of sexual orientations and gender identities. With all the amazing advances being made in favor of LGBTQ rights, it has never been more important for LGBTQ people to have ways to connect and form lasting, committed relationships. In the past five years, there has been a tremendous rise in acceptance, visibility and legality for LGBTQ people and their relationships. Our platform assists LGBTQ individuals in their search for romantic relationships. We also address the dating and social networking needs of the entire LGBTQ community, rather than a limited segment. LGBTQutie is not just another dating website. Our website helps individuals of all LGBTQ identities and orientations find and connect with potential romantic partners. It also serves as a comprehensive social networking platform that fosters lasting friendships. LGBTQutie is a dating and social networking hybrid that has never been done before: Inclusive, Innovative and Proud. Our extensive research has shown that the LGBTQ community comprises of 10-20% of the entire population. That number is a conservative analysis, as some people wish not to disclose their sexual orientations. LGBTQutie falls within the larger LGBTQ lifestyle market, a $743 billion market and growing. 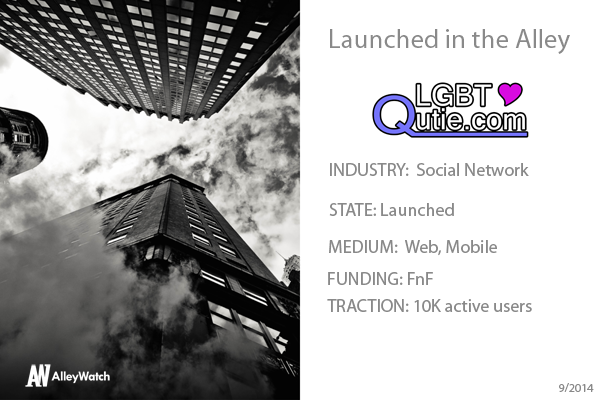 LGBTQutie follows an advertising based revenue model, with paid Premium Membership options for users. Our strategy is to continue to build a large and engaged user base. Individuals can join the site with a Basic Membership that’s free of charge, or opt to upgrade to paid a Premium Membership. Much like Okcupid and Plenty of Fish, our primary focus has been on achieving the critical mass of active members needed to attract advertisers generate large amounts of revenue. Why is your team the right team to build yet another social networking/dating site? Our site is not just another dating site. We are doing something very new and innovative for the LGBTQ community. First off, LGBTQutie.com is LGBTQ owned and operated, giving our team strong experience and knowledge of the needs of the community that we serve. Founders and Co-CEOs, Jordan Weiss and Rachel Kimelman are both experts in human relations, with strong business and educational credentials. They are also passionate and active members of the LGBTQ community. Other members of our team include Brook Gagnon and Sarah Marloff. Brook is the Web-Developer for LGBTQutie. She is experienced and proficient in the latest coding, computer software and emerging web technologies. Sarah is LGBTQutie’s Social Media Manager and Blogger. She has vast writing experience at major publications and is proficient in all social media applications. Generally, we find that Union Square Ventures has a portfolio that is in line with our sector and our ideals. We would particularly like to reach out to Andy Weissman and Fred Wilson. New York is our home state and if you could make it here, you could make it anywhere. There is a large and robust LGBT population in New York. There are lots of opportunities to market our service successfully and to look for capital investments. What’s your favorite fall destination in NYC? Riverside Park, watching the leaves Fall while sipping on some organic hot mulled cider.